Only if they perform better than those tried-and-true varieties can they become an AAS Winner! Did you know that all AAS Winners have been trialed against varieties that are considered “best in class”? 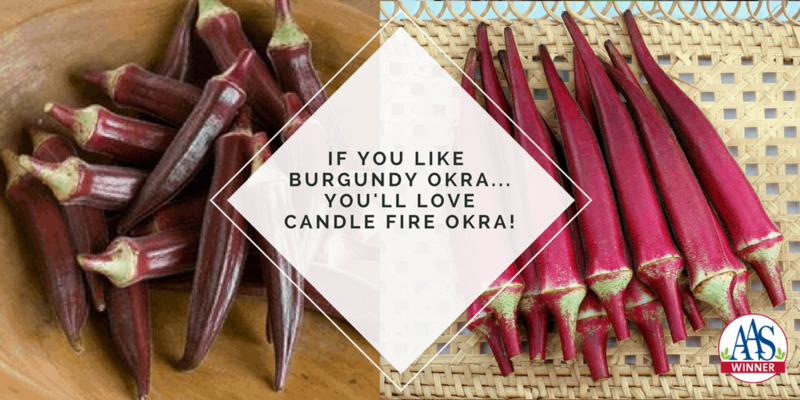 If you like Burgundy Okra …You’ll love Candle Fire Okra! This red/burgundy okra – Candle Fire – was entered into the AAS Trial because of the superior color and round pods, making it a unique garden item. The AAS judges loved the entry! The only negative heard was that it produced so prolifically, it was “hard to keep up with the harvest“! 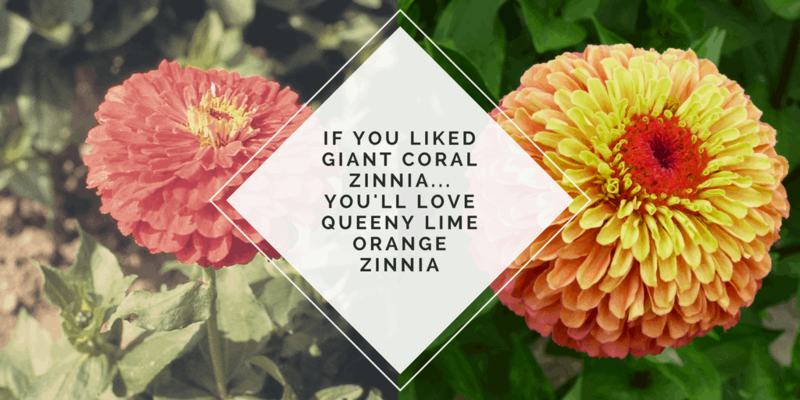 If you like Giant Coral Zinnia…You’ll love Queeny Lime Orange Zinnia! It’s hard to go wrong with a zinnia but the coloration of this new AAS Winner – Queeny Lime Orange – won over not only the AAS judges but trial visitors as well. This beauty will be a hit in summer gardens and cut flower bouquets. Another plus is that pollinators will love them too! 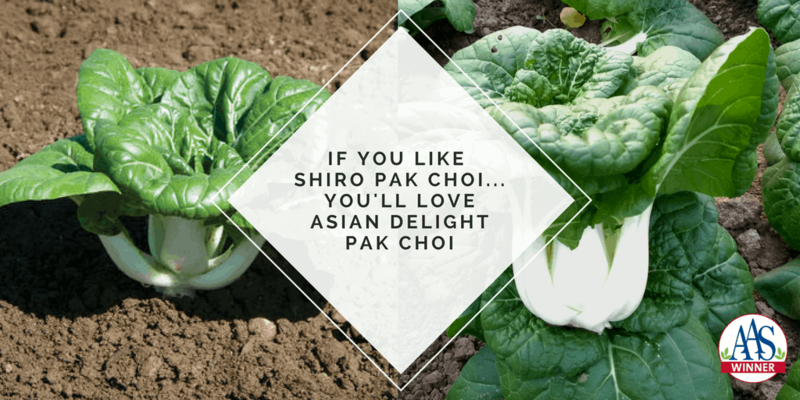 If you like Shiro Pak Choi…You’ll love Asian Delight Pak Choi! “A pak choi that doesn’t bolt? That deserves some attention!” stated one AAS Judge. With today’s unpredictable weather, it’s a shame to lose your hard work when a few hot days hit so Asian Delight is sure to delight gardeners who want their pak choi to last longer after maturity without going to seed. 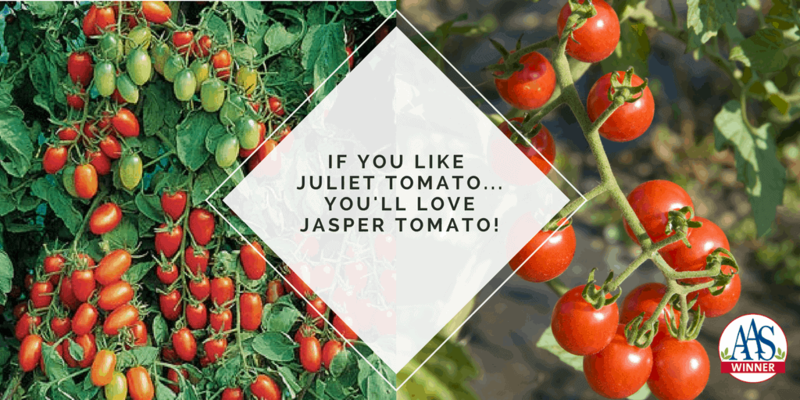 If you like Juliet Tomato…You’ll love Jasper Tomato! Juliet, a 1999 AAS Winner, is certainly a well-established favorite among gardeners. Then along comes Jasper to give gardeners a reason to try something new. The Jasper entry was trialed next to Juliet and outperformed in the area of taste, yield and holding ability to become a 2013 AAS Winner. Every year, All-America Selections tests the newest varieties to bring you AAS Winners with enhanced garden performance, better appearance, and improved taste! Where can I buy zinnia-queeny-lime-orange locally in Alabama? Krystle, sorry, we do not have exact store locations of where our AAS Winners are sold. There are many mail-order retailers that do carry our AAS Winners. You can find a link to these companies at our Buy Winners tab. https://all-americaselections.org/buy-winners/ Jung Seed, Park Seed, and Johnny’s Selected Seeds do carry Zinnia Queeny Lime Orange in their catalog. Thank you.